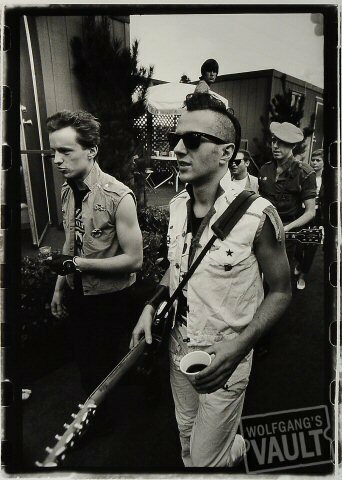 The Clash and Joe Strummer make a small cameo appearance in the Academy Award nominated movie “Moneyball“. 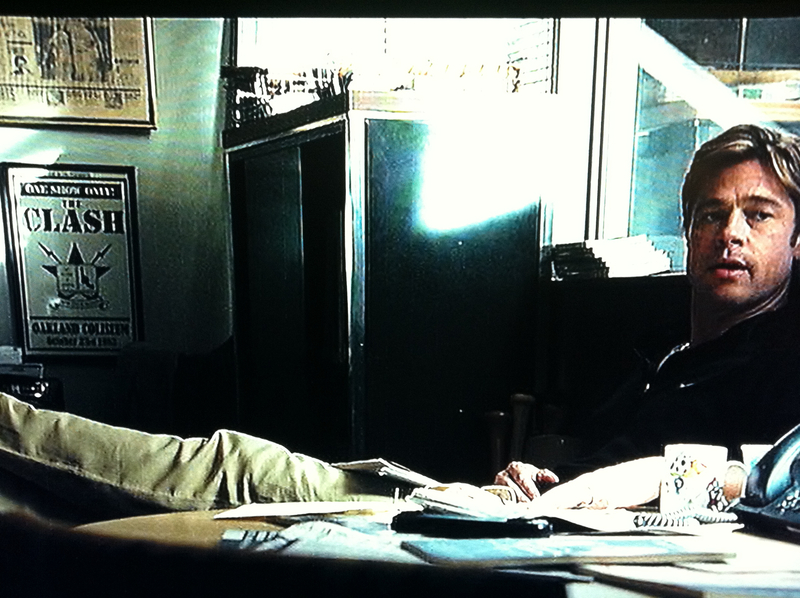 Brad Pitt who plays Billy Beane in the movie is shown in his office at the Oakland A’s stadium. 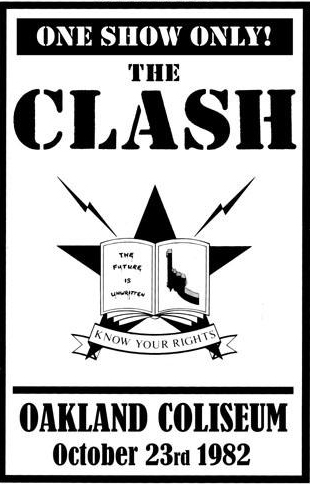 Behind Pitt is a poster of The Clash concert that took place in that same stadium on October 23, 1982 when The Clash was on tour supporting The Who. I’m pretty sure this is recreated but here is what the poster behind Pitt says. 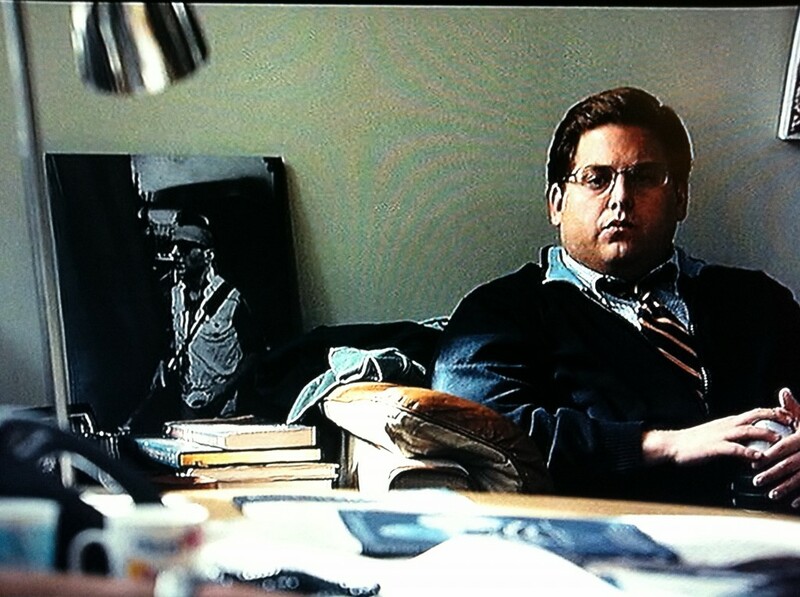 In the same scene there is a picture of Joe Strummer next to Jonah Hill. Billy Beane is a huge fan of The Clash and punk rock in general. 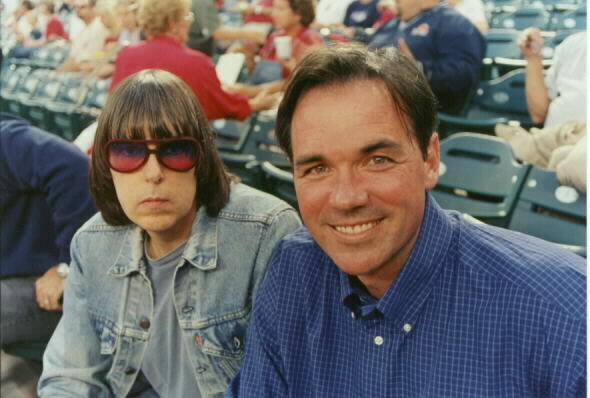 Here’s a picture of the real Billy Beane and Johnny Ramone.